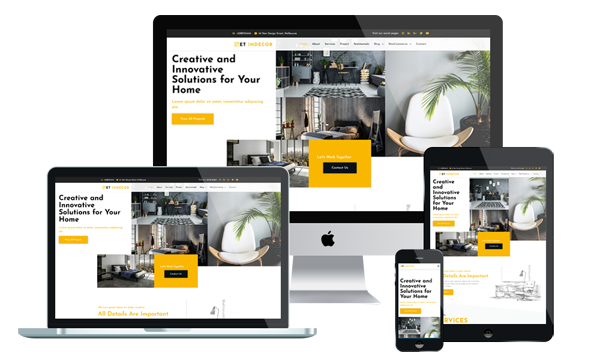 ET Indecor is a free and premium Interior WordPress Theme which is built with interior design in mind, to showcase the work of interior designers and decorators, or for those building a website about interior designs and inspirations. This theme promote high quality images, depicting fantastic settings and introducing the client in a world of home relaxation and harmony. Morever, Interior WordPress Theme builds with Genesis Framework, shopping cart support by WooCommerce. Important areas of your site are subtly highlighted using colors and fonts. Everything is pre-coded and all the tools and functionalities can be activated by simply clicking a button. Also, it is fully responsive allowing cross-browser compatibility, offering interested users the possibility to access your site from any device. Get your design business online with our interior design templates today, and make the most of your web presence.